"Hidden within the forces that pull us down, lies the POWER to LIFT us back UP"
The South Sound's FIRST premier studio to offer AntiGravity® Aerial Yoga, Buti Yoga®, Thai Yoga Therapy & Sound Healing to the Puget Sound area! Come FLY HIGH with us today! So now that it is April, its time to officially make an announcement. I knew this day would come eventually, but not quite this fast. So it is with sadness but also excitement for our next chapter, that we announce today, that at the end of this month April 28th, 2019, Uplift Yoga Studio will officially be closing its doors in Tacoma, to relocate & move to Hawaii this year! And believe me this was not an easy decision to make, but a necessary one, as eventually all businesses must change & evolve, and for me & this business, that includes following a life long dream of moving to Hawaii. So although I will greatly miss all of our wonderful students & clients that have come through Uplift's doors over the last 4 years here in Tacoma, & am so appreciative to each & every one of you for your love & support, at the same time I am beyond excited & ready for this next chapter to begin. So along with relocating, Uplift also plans to evolve to the next level up in the Yoga business by offering more workshops, retreats, & even teacher trainings in Hawaii & also elsewhere starting this summer & the rest of this year. So for those who are interested in joining us for future international retreats & teacher trainings, stay subscribed to our email list for all future updates. Come "float into bliss" with us for this very special event, in honor of the Full Moon, and to say goodbye to the studio, this will be our FINAL Floating Sound Bath of the year here in Tacoma, so please come celebrate this momentous occasion with us! We will start by offering Cacao to everyone, which is a traditional drink from South America that helps open up the heart. Then we will guide you through a series of Restorative Aerial Yoga postures in the hammock, ending in Cocoons. For the last hour you will then be guided through a Sound Bath experience while in Cocoon, utilizing crystal singing bowls, chimes, & other healing instruments, as we soak in the vibrations & sacred energies of love, creating a sense harmony, unity, and bliss, as we head into this new season of transformation together. Now that Spring is officially in swing, in honor of this new beginning & the birthing of new life, we will be hosting another Prenatal Couples Workshop lead by the wonderful Emily Gourlie. This event is designed to empower couples through their pregnancy journey. This partner workshop is open to pregnant people and their partners (partner can mean anyone: spouse, partner, doula, friend, or anyone who will be providing birth support during childbirth) and to all levels of yoga experience. In this workshop we will focus on bonding & connecting with your baby, practicing mindfulness & breathing, & getting tips & tricks on pain relief and stress reduction. Feel supported and comforted in this non-judgmental, welcoming environment as you prepare to welcome your baby to this world. No yoga experience necessary. To look up our class schedule & book a class, please click on the Mindbody calendar class links below. If this is your first time here please visit the purchase page to register for your first class. You must register AFTER you purchase your first class pass & create your Mindbody account. If you click the "Book" buttons below you still need to register for which class you want AFTER the purchase page. It should ask you at some point to create a password for your email, so be sure to do that instead of checking out as a guest. Once your account has been created, next time you want to sign up, you simply have log in to your Student Account on Mindbody by inputing your password or using the app, click on the class you want to book from the calendar (i.e. Aerial Yoga Basics @ 11 am), register, and you will automatically be added to the class list. (Please note that ALL CLASSES REQUIRE PRE-REGISTRATION ONLINE! To sign up through our Mindbody studio calendar & to see our most UP TO DATE class schedule check out the calendar below, as schedule changes may happen from time to time. If you find yourself unable to attend a class you have signed up for, please alert us as soon as possible. Because we can only accommodate a small number of students we must implement a strong cancellation policy. Cancellations 6 or more hours prior to the start of class will receive a full refund. Less than 6 hours will be charged the full class fee. We do not retroactively discount purchases that have already been purchased. Rates are subject to change without notice. Uplift Yoga & Healing Arts Studio reserves the right to cancel classes at any time, and we reserve the right to offer refunds or not on ALL our class packages at our own discretion. It is the sole responsibility of the student to use your class credits within the given expiration period or you risk losing them, and refunds are not garaunteed or given for unused credits. Good for ALL group classes! This is our intro class designed for beginners, where we teach you the basics like how to get into the hammock, fundamental terminology, getting into basic poses like our Zero-Compression Inversions, basic transitions, how to breath through the various sequences, and just starting to get into the flow of how to use hammock with your body and make it work for you. All of our classes are also mindfully sequenced to music, keeping it in tandem with the flow of the class itself, creating an even deeper, more inviting, and uplifting environment to play in and also relax to. This class is designed, as it says, for all levels of students. Whether your new to Aerial Yoga or are an advanced Yogi whose been to many classes before, this class is designed to be both accessible, safe, fun, and also challenging for any and everyone who wants to do Aerial Yoga with us. It is nice balance and combination of sequences and poses from both Basics as well as Aerial Yoga Flow, again to make it both fun and challenging for any level of student. Suspension Fitness as the name would denote, is the fitness side of the Antigravity program. Taught by our lovely instructor Charm, utilizing various strength building, core engaging, HIIT sequences, & upper body building techniques, this class in sure to get your blood pumping, muscles working, and will help boost your energy levels. And since this is an Antigravity class, best part is you still get to Cocoon at the end! So if your looking for a fun, new, unique way to spice up your fitness routine, come try one of our Suspension Fitness classes today! We promise it'll be a great way to start your weekend off right. This is AntiGravity's newest program to launch, and it is essentially an Aerial Dance Conditioning class, drawing from and utilizing mainly the techniques of both Barre, Ballet, and Yoga to create a fun, playful, but also challenging fitness class for any and all student levels. I like to describe it as a Ballet Yoga Fusion class for adults, and is fun and accesible to both beginners and advanced students alike, whether you've been dancing and doing yoga for years, or have never taken a single class in your life. Its especially great for toning and strengthening the legs, but is also great for building up core, as well as upper body strength, while creating lovely lines in the body, a sense of grace as well as agility, and the best part, you still get to Cocoon at end of class! So come in and try an AIRbarre class today! We are also the only studio currently in WA to be offering AIRbarre, so this is a particularly unique opportunity to try something completely new and awesome that nobody else in the Puget Sound area is offering right now. Imagine coming into a yoga studio, low lighting with candles lit, soothing music playing in the background, and sitting down into a soft, comfortable silk hammock for 75 minutes of Restorative Yoga in a hammock.....sound like something you'd be interested in? 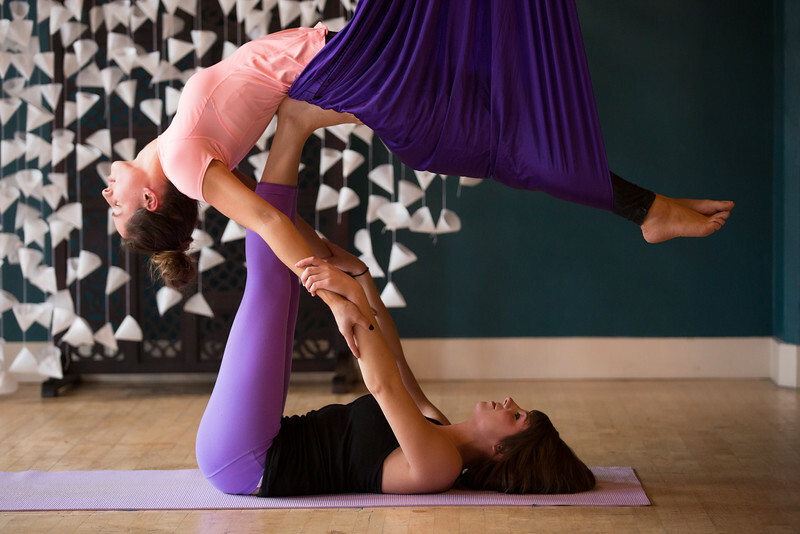 Then come in and try our restorative version of Aerial Yoga, where we lower the hammocks down to only about a foot off the floor. It is by far our most relaxing, easy, and rejuvenating class we offer. It is designed for any and all levels of student, from beginner to advanced. All the poses we do are on the floor, including the few gentle inversions we do because yes, even in a restorative class, we still have inversions. The lighting is also very low with only candles on the floor, with very soft and soothing music in the background to help set the mood for the ultimate hour of relaxation. Everyone can enjoy a good restorative yoga class, and the hammock makes it even more accessible and easy to transition from pose to pose, and go even deeper into each stretch, as you relax into your hammock, releasing tension and moving into the flow. It truly is a one of a kind experience, so come try a class today. In this class, we take it to the next level, creating more of a flow as we move through the sequencing, using the techniques of Vinyasa Yoga as well as Aerial Yoga, to create a more fluid and dynamic series of poses, mindfully using the breath (Prana) with the movements of the body (Asana), to create both an uplifting and as well as relaxing energy to the class. This is also a more advanced class, and it is highly recommended that all participating students have taken at least 2-3 Basics or All Levels classes BEFORE signing up for this class, as one needs to be comfortable enough using the hammock at a basic level before moving onto this kind of class structure. Buti Yoga is completely new, totally awesome, and intense form of Yoga, created by celebrity trainer Bizzie Gold. Buti combines the art & benefits of both Power Yoga, Tribal Dance, and Plyometrics, into one intense and amazing work out. Utilizing Bizzie's exclusive Spiral Structure Technique, we work through all the layers of muscle to build a strong core, burn away cellulite, release tension, and create a sense of empowerment as women, as we move together. It is a mat Yoga class, so no hammocks involved, and feel free to bring your own mat! No prior Yoga experience required, just a desire to try something new and a commitment to empowering and uplifting yourself. So lets sweat with intention, connect, & thrive together as one. Come join our Buti Tribe today! Prenatal Yoga is a class specifically tailored to the needs of pregnant women. Adding Prenatal Yoga to your life is a wonderful way to help support yourself and your body on your pregnancy journey. Some of the benefits of practicing Prenatal Yoga include help with lower back pain, strengthening and opening of the hips in preparation for labor, breathing techniques to help with labor, general pain relief and relaxation, and creating an even stronger mind-body connection with yourself as well as your baby. Postnatal Yoga can also help to gently heal the body and help bring it back into balance after giving birth. Taught by the wonder Emily Lovejoy, these classes are a great practice that every pregnant mother can enjoy and experience. No previous Yoga experience required, however it is helpful. Please arrive 5-10 min early to ensure enough time to have everyone's hammock adjusted for their individual height. Wear a fitted shirt with sleeves to avoid both rubbing on the hammock and obstruction of vision, a t-shirt works great. Though our teachers have expert training to guide you through the class and can make recommendations and suggestions for you to reach health goals, we are not physicians. Your concerns on health related issues, medications and appropriateness of exercise should be thoroughly discussed with your personal health care provider before partaking in AntiGravity® Yoga and all suspension-training classes. We recommend consulting your medical professional before beginning any new exercise form to see if it is appropriate for you. Your first few classes may be uncomfortable at times as your body adjusts to the pressure of the hammock. This will subside after a few classes. An alternative during the adjustment period is to use a yoga mat for padding. Do not practice on a full stomach. Please inform the teacher if you have any injuries, illnesses or are pregnant. Stay hydrated to help keep your muscles fluid and aid in eliminating toxins. Do not come to a yoga class if you have used or taken alcoholic beverages, drugs, or medications of any kind (ex. prescription or over-the-counter medications, holistic preparations or illegal drugs) that may affect your judgment or impair your abilities. The hammock is around 3 ft from the hardwood if you fall. Keep practicing! Soreness after practice is completely normal, this is your body awakening to a new form of movement. The more you practice, the better you will feel. A consistent yoga practice is recommended to receive the full benefits. * Please notify instructor before class if you have any contraindications so they can help you modify your practice. ~Note~ To book any of the following types of private sessions with us, just email info@uplift-yoga.com for scheduling, pricing options, and any other questions you may have in regards to a private session. Thank you. Traditional Thai Yoga is an ancient system of healing with its roots in Yoga, Ayurvedic medicine and Buddhist spiritual practice. This unique and ancient healing system uses a series of assisted Yogic adjustments and deep stretches, along with certain breathing and hands-on techniques, where both the giver and reciever (client) can experience tremendous benefit and healing during any given session. It releases tension, increases vitality, and creates wholeness of mind, body and spirit in both the client as well as practitioner. A typical Thai Yoga Therapy session lasts about 90 min, and is done on a special type of thick mat on the floor, where the Practitioner guides the client into various poses and assisted stretches, along with other hands on adjustments and techniques, to help the client experience deep healing and release. We also again, like to include and incorporate Sound Healing techniques into these sessions as an option (see pricing page for details), to create an even more deep and holistic experience. Thai Yoga Therapy is truly a wonderful modality that everyone should experience at least once. So if your interested in a session with us, please read the bold print at the top of the page on how to contact us for more info. Along with Yoga, Sound Healing is also a very ancient art form that has been used and practiced for thousands of years, and Sound Healing especially has been used throughout history, in many different cultures both ancient and modern, around the world, to bring deep healing, connection, and understanding of the universe through music, to this planet and its people. Music afterall, is the only truly universal art that anyone from any culture can understand and feel connected to, which is why it is so healing on both a physical, mental-emotional, and spiritual level. The goal of Sound Healing & vibrational medicine is to unify, harmonize, heal, and bring balance back into the back, mind, and spirit through the power of sound & music. During a typical one-on-one Sound Healing session, I like to combine both Sound Healing techniques, with the added benefits of Yoga, as both art forms are very much intertwined and compliment each other well. So in any given session, I usually start by guiding the client into various different Yoga poses on the mat with blankets, bolsters, blocks, etc. After guiding the client into a pose, I will then utilize various sound healing tools and techniques in tandem with each pose, using tools and instruments such as toning, tuning forks, and singing bowls by placing them on various specific places and points on the client's body, to create a much more holistic sense of healing and well being than previously experienced. So come try a session with us today to find your inner bliss through sound, we promise you'll walk away feeling more relaxed, clear, and uplifted than ever before. 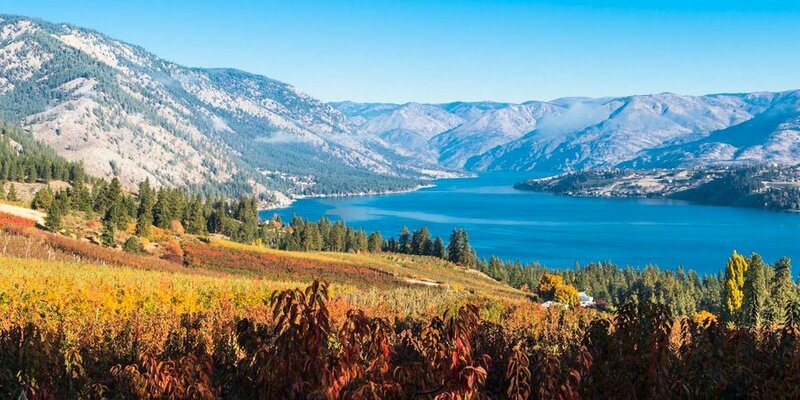 Lake Chelan is a beautiful lake town located in eastern Washington state, famous for its beautiful views, wineries, camping, outdoor activites, & of course water sports in the summer. Yoga Chelan (www.yogachelan.com) is also the premier Yoga studio in town, offering a variety of different Yoga classes & styles year round, including retreats & teacher trainings. 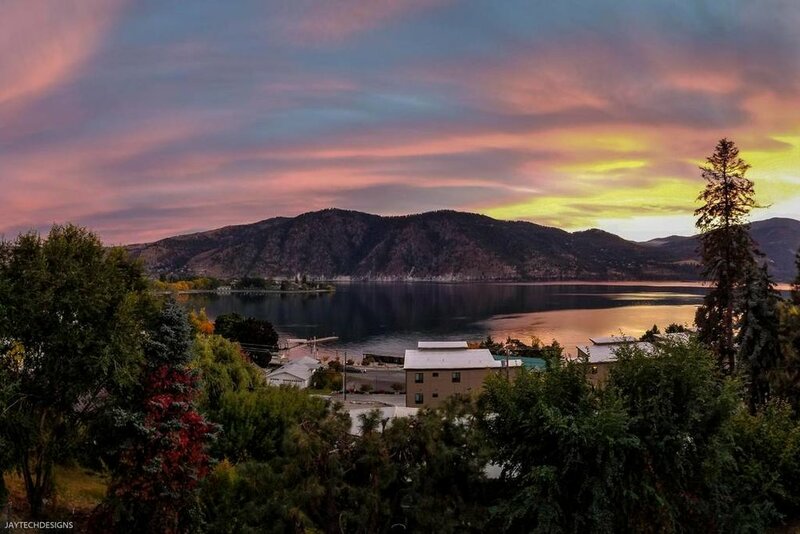 With room for up to 10 hammocks, Yoga Chelan offers the perfect space for a weekend Aerial Yoga immersion, & is within walking distance to the lake itself, making it an ideal location for a weekend getaway retreat. 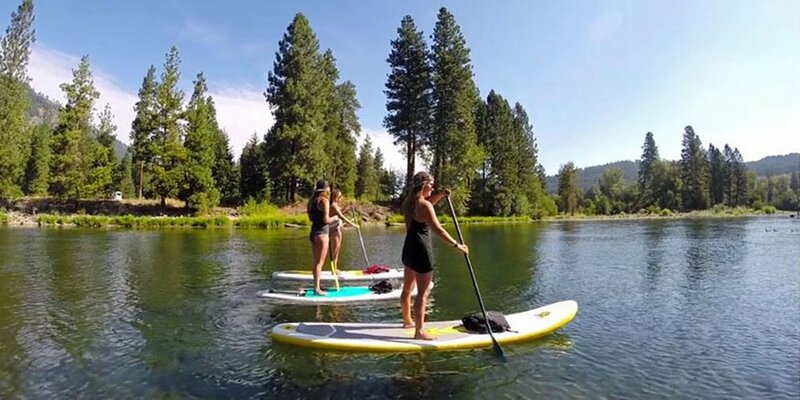 - The deposit is fully refundable if the booking is cancelled within 14 days before arrival/start date of retreat (May 24th, 2019); However, if you cancel after that 2 week period before the retreat, your deposit CANNOT BE REFUNDED. This is the policy for all bookings. - ALL RETREAT PACKAGES MUST BE PAID FOR IN FULL AT LEAST 21 DAYS PRIOR TO START OF RETREAT, otherwise you risk losing your spot and your room accommodations. As a young girl, Anna has always had a passion for both movement and music of all kinds. Her journey of exploration through movement started while taking dance lessons starting at the age of 4. After a decade of dedication to dance, she then started exploring the world of Yoga when she was just 16, and has been an avid Yogi ever since, diving deep into both the practice and philosophy side of this ancient healing art form. Then in August of 2012 she finally received her 200 hr Yoga Teaching certification through the White Lotus Foundation in Southern California, studying under her teachers, the wonderful Ganga White and Tracey Rich. Her teaching style is Vinyasa Flow to music, focusing on the breath and using it as a guide as she leads students through a variety of sequences, applying her skills both on the mat in Vinyasa Yoga, and in the air for Aerial Yoga with a hammock. Her exploration of the world of music also started when she was very young, and when she was just 7 years old started playing piano, and soon after that took up violin and vocal training as well, eventually leading to a full on passion for music of all kinds, both listening to and playing herself. Then at the age of 22, discovered the wonderful world of Sound Healing/Sound Therapy, which uses sound and music as a sacred tool to heal people from the inside out. She then went on to also receive her certification as a Sound Healing Practioner through David Gibson & the Globe Institute of Sound & Consciousness in San Francisco, CA in June of 2012. Now she primarily focuses on singing and playing guitar, as well as Singing Bowls, tuning forks, her tank drum, and other tools used specifically for her Sound Healing practice. It was finally in the spring of 2014 however, that she discovered her true life's passion, AntiGravity® Aerial Yoga, where soon after becoming a certified AG Aerial Yoga instructor herself in June of 2014, and after almost of year of teaching Aerial Yoga professionally on a weekly basis to hundreds of students in the Seattle area at Levitas Studio, now teaches 7 AntiGravity® classes a week at the Good Karma Center for Joy in downtown Tacoma, WA since May of 2015. She also became certified in Thai Yoga Therapy earlier this year in 2016, studying under the wonderful Eric Spivack of Soaring Crane Massage in Seattle. After finding another passion of hers and falling in love with Thai Yoga Therapy, she not only wants tobring hands-on-healing to her students and clients, but also wants to expand her one-on-one practice and clientele, and bring another amazing healing art form back into the community. Her plans for the near future include opening up her own studio where she can not only expand both her Aerial Yoga classes, as well as her Sound Healing practice, but combine them in a way that has never been done before, bringing it to a wider audience and demographic of people that have never experienced this art form before now. “Anna's session with me using tuning fork therapy left me relaxed and invergerated. Her approach was professional and intuitive. Thank you for such a positive experience Anna!" We are located in the heart of downtown Tacoma, right on Broadway, next to Galanga Thai, and above Dunagans & Mad Hat Tea Co.
~PARKING~ Parking is metered before 6pm in front of the building, however is usually quite limited depending on the time of day. There is also plenty of parking up and down the hill on 11th & 13th Street, and down the stairs on Commerce St. behind the building.